Today in Masonic History James Dixon Black passes away in 1938. James Dixon Black was an American politician. Black was born on September 24th, 1849 in Knox County, Kentucky. He was educated in rural and subscription schools in the area. He graduated from Tusculum College with a Bachelor of Arts degree. After leaving college, he returned home and taught school for two years. At the same time he was reading law and in 1874 was admitted to the bar. In 1876, Black was elected to the Kentucky House of Representatives. He was a Democrat representing an area with a high number of Republicans and only served a single, one year term. In 1879, Black and other citizens of Barbourville purchased stocks to start up a new college in the area. Black insisted on the college being called Union College because he saw it as being unifying force in the area. In 1884 and 1885 he served as the superintendent	of the Knox County public schools. On September 10th, 1910 he was named the 8th President of Union College, serving until 1912. In 1911 he was given an honorary Doctor of Laws degree from Tusculum College. 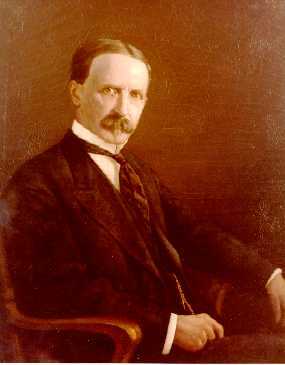 In 1912, Black returned to politics when he became the first assistant attorney general for Kentucky. In 1915 he was chosen as the Democratic nominee for Lieutenant Governor. Black was a pro-temperance candidate. As part of the temperance movement, Black was in favor of Prohibition. To balance the ticket, Democrats chose an candidate for governor who was opposed to Prohibition. The two men were elected and began serving in 1915. The two men never saw eye to eye and were never political allies. In fact the governor refused to go out of state on vacation for fear that Black would appoint someone that he did not approve of. In 1919, Black assumed the Governor's office when the sitting governor was elected to the United States senate. He would only end up serving 7 months as governor. This was largely due to the fact that he inherited several scandals. In just about all of the cases, Black refused to replace the political appointees of is predecessor. There was some talk that Black had made an agreement to keep his predecessor's nominee's in exchange for the outgoing governor's endorsement. As the scandals mounted, Black stood no chance of being elected to his own term as Governor. In 1920, Black became the chief prohibition inspector for Kentucky. Black passed away from pneumonia on August 5th, 1938. Black was a member of Mountain Lodge No. 187 in Artemus, Kentucky. He served as Worshipful Master in his lodge 7 times. He was a member of Barbourville Chapter of Royal Arch Masons. In 1888 he was the Most Worshipful Grand Master of the Grand Lodge of Kentucky.